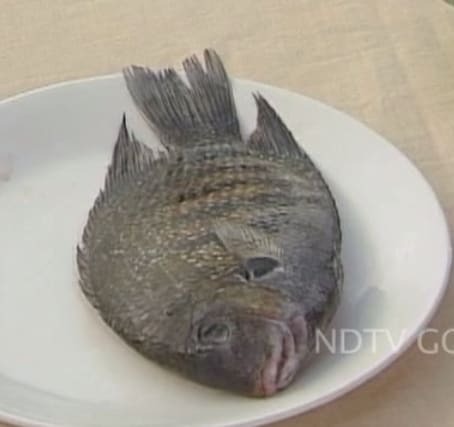 Pearl spot fish, also popularly known as Karimeen or Chromide is considered a delicacy. The fish has an elliptical body with tiny shiny diamond spots all over its body. This variety of fish is one of the authentic dishes of the Kerala state. Karimeen, as called, it is commonly found in backwaters of Kerala. A fully grown pearl spot fish is about 40cm long weighing about two kgs. Karimeen fish has good flavor and taste that titillates the taste buds. Karimeen fry or curry is very popular among the tourists who visit Kerala. The fish is fried, cooked in spicy coconut gravy or grilled in charcoal with spices. It is served on a banana leaf with seasonings and grilled. Prized for its delicious taste, nutrient value and high-demand, it is categorized as an ‘upper-middle class’ fish. 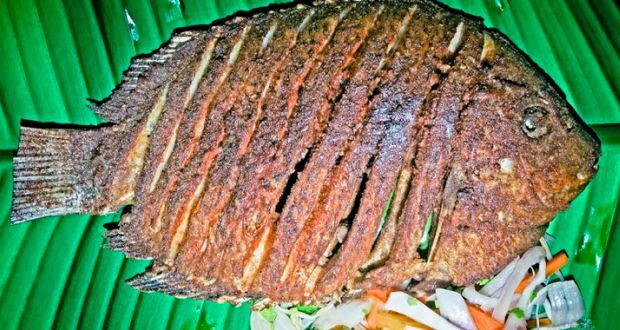 Karimeen fry is one of the authentic dishes of Kerala state. Apart from the Kerala state, the fish curry is very famous in the regions of Bengal. Odisha and Konkani regions. 1. It is a low in fat and high protein food. 2. The fish is rich in fatty acids that lower blood pressure and prevent heart strokes. 3. The fish also helps in improving the mental functions and minimizes the risk of Alzheimer’s disease. Karimeen is the state fish of Kerala. The fish feeds on algae, plants and water insects. Marinated pearl spot fish wrapped up in a banana leaf and steamed till done. Serve with some steamed rice.